Rep. Donna Edwards (D-Md.) failed in her bid this week to win her party’s nomination for the Senate seat being vacated by Barbara Mikulski. Who was the last black female member of Congress who ran for the Senate? Last week’s question was: Who was the first woman elected to the Senate to succeed another woman? 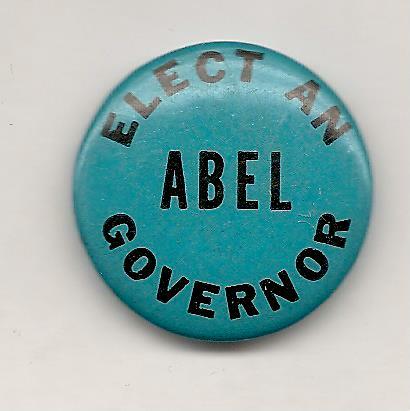 Abel also ran for governor in 1960 but lost the GOP primary. The answer? Hazel Abel of Nebraska. In 1954, Senator Dwight Griswold died in office. The governor appointed Eva Bowring, a Republican activist, in April to take Griswold’s Senate seat until a new election would take place. In November of that year, there were two elections for this seat. Hazel Abel won the election to put her in the Senate for the remainder of the term — from November 8th until December 31st, when she retired a couple of days early. Congressman Carl Curtis won the other election, and he took office after Abel resigned. So, the short answer is that Hazel Abel succeeded Eva Bowring in Nebraska in 1954. The randomly selected winner is … Erich Zimmermann of Washington, DC. Erich wins the coveted Political Junkie button.